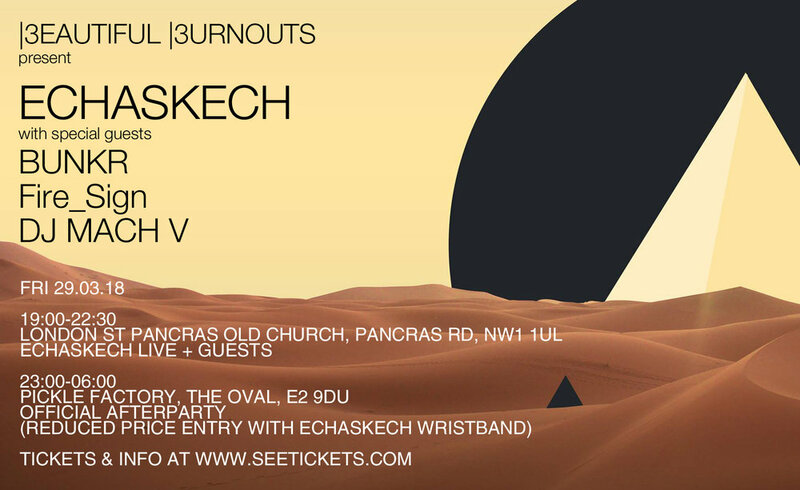 I’m very happy to let you know that Echaskech will be playing a very rare live gig at St Pancras Church on March 29th 2019. I’ll be doing my usual VJ duties for them but also supplying DJ Support through out the night. Also on the line up will be Fire_Sign and VLSI label mates BUNKR (whom you might know by their alias Lost Idol). I’ve been listening to a promo copy of BUNKR’s new LP which is set to come out this year and it’s going to blow your socks off. Echaskech are playing live at the Sebright Arms, supporting our long time friend in electronica the one and only James Yuill. and let us know you are coming on the facebook event page! Digital City returns to Peckham this time in a new space called The Nines and I'll be VJing. Mark Archer will be slamming the tracks with Wennink playing Live.